Excerpt: “Climate change impacts have never been worse,” Patricia Espinosa told journalists after Sunday’s first negotiating session. But it said the US “reiterates its decision to withdraw” from the landmark accord. The UN negotiations got off to a chaotic start in the Polish mining city of Katowice Sunday, with the opening session delayed nearly three hours by a series out last-ditch submissions from countries. Even solid progress on the Paris goals may not be enough to prevent runaway global warming, as a series of major climate reports have outlined. Just this week, the UN’s environment programme said the voluntary national contributions agreed in Paris would have to triple if the world was to cap global warming below 2C. For 1.5C, they must increase fivefold. While the data are clear, a global political consensus over how to tackle climate change remains elusive. “Katowice may show us if there will be any domino effect” following the US withdrawal, said Laurence Tubiana, CEO of the European Climate Foundation and a main architect of the Paris deal. Brazil’s strongman president-elect Jair Bolsonaro, for one, has promised to follow the American lead during his campaign. Even the most strident climate warnings — spiralling temperatures, global sea-level rises, mass crop failures — are something that many developed nations will only have to tackle in future. But many other countries are already dealing with the droughts, higher seas and catastrophic storms climate change is exacerbating. “A failure to act now risks pushing us beyond a point of no return with catastrophic consequences for life as we know it,” said Amjad Abdulla, chief negotiator for the Alliance of Small Island States, of the UN talks. 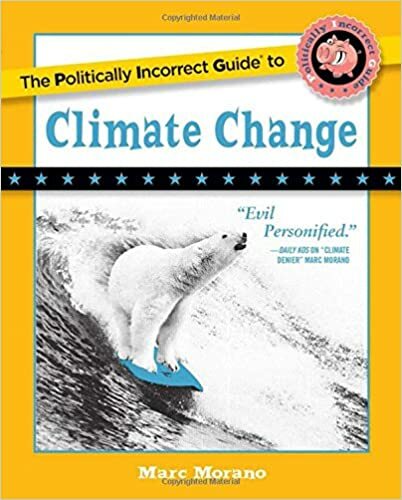 Includes an excerpt from the new 2018 best-selling book, The Politically Incorrect Guide to Climate Change. Morano: In my book, I show how they use the same hysteria for the different environmental scares in the 1970s, whether it’s resource scarcity, over-population, rainforest clearing, et cetera. 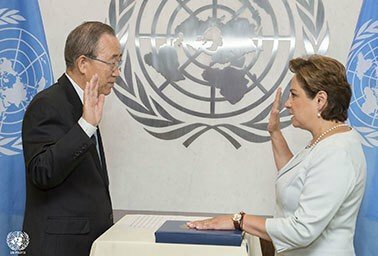 They will say, “We need a global solution; we need global governance; we need wealth redistribution; we need sovereignty threatening treaty, or some kind of economic activity limiting.” No matter what environmental scare in the past that they tried to scare people with, it was the same solutions they’re proposing now. In the book, I go back and show over and over that global warming is merely the latest scare they’re using to get their agenda. I show Naomi Klein, who’s an adviser to Pope Francis, who wrote “Capitalism vs. the Climate.” I interviewed her for the book. She actually says that they would be seeking the same solutions even if there was no global warming and that essentially, capitalism is incompatible with a livable climate. She actually urges people, “We need to jump on this because solving global warming will solve what we’ve been trying to achieve all along.” They’re open about it. They use the climate scare tactics to achieve their ends. And in order to get those ends achieved, they have to hype and scare. It’s been a very effective strategy because they’ve bullied Republican politicians, who should know better, into at least submissiveness and silence and/or activism, when you come to the case with John McCain and even Mitt Romney.